The Samsung Galaxy Note 9 is now official, and here goes the official Philippine price, pre-order, and release details that you need to know. Globe Telecom and Smart Communications are also expected to unveil their postpaid plans for the Note9 in the coming days. Those who pre-order the 128GB variant will receive either a free Samsung Gear Fit or Gear IconX or Galaxy Tab A7, Nanofixit protection, and 1-year insurance. Those who pre-order the 512GB variant, on the other hand, are entitled to a 32-inch HD Smart TV worth Php17,999 with a 2-year warranty, Nanofixit protection, and a year of insurance. In addition, Samsung will be throwing in a couple of treats for Note9 users through the Samsung Rewards app including Free drinks at CBTL on Fridays, Free Grab vouchers on Mondays, Free Dairy Queen Blizzard treats on Tuesdays, airport lounge access, and perks at Zalora, Honestbee, and Foodpanda. The Samsung Galaxy Note 9 is priced at Php55,990 (6GB + 128GB) and Php75,990 (8GB + 512GB). Pre-order will be from August 11 to 19 and will be available to the public starting August 24. 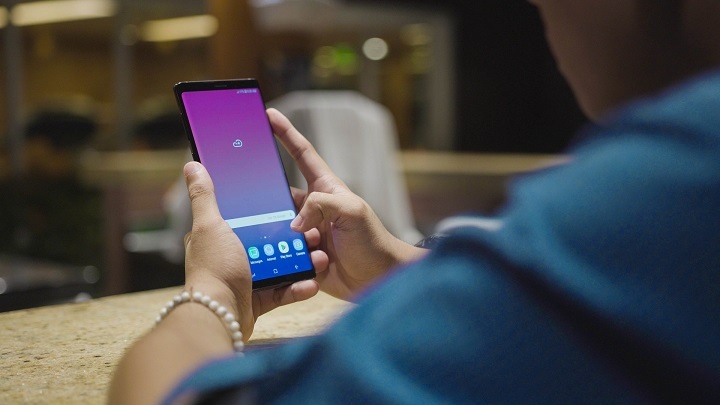 The post Samsung Galaxy Note 9 price, release date in the Philippines appeared first on YugaTech | Philippines Tech News & Reviews. PrevSamsung Galaxy Note 9 now official!